If you’re a System Administrator and you had to perform a Risk Assessment, Security Assessment, Due Diligence or Compliance Questionnaire at least once, you most likely know that in order to meet the security requirements asked by most modern regulations and standards – such as the ISO/IEC 27001:2013, ISO/IEC 27002:2013, ISO/IEC 20000:2011, NIST CyberSecurity Framework, SSAE/SOC2, ITIL, PCI-DSS and so on – you have to setup your Windows Server environment accordingly. Since I’ve also been working on this, I’ll share some basic knowledge that will be most likely useful for those who need to do that in a series of dedicated posts on this blog. This is the first one of them, in which we’ll be talking about setting up a Remote Desktop Session Time Limit for active, yet idle connections in Windows Server 2012. IT application and system sign-on mechanisms must be configured to limit the duration of any one sign-on session (session time-out). Session time-out is required for systems with payment card data if idle for more than 15 minutes. That’s something we can easily expect from a decent Risk Assessment questionnaire. Those who want to PASS this – assuming they’re using Windows-based server machines – will need to adjust the behaviour of the Remote Desktop Session Host, which features no given timeout by default. Open a command-prompt and type gpedit.msc to launch the Local Group Policy Editor snap-in. In the left panel, expand the Computer Configuration node or the User Configuration node, depending if you want to change the RDS behaviour on system-scope (recommended for this scenario) or on users-scope (see below for the differences). Navigate to Administrative Templates > Windows Components > Remote Desktop Services > Remote Desktop Session Host > Session Time Limits. In the right panel, double-click the Set time limit for active but idle Remote Desktop Services sessions policy: in the modal window that will appear, activate it by switching the radio button from Not configured to Enabled, then set the desired amount of time in the drop-down list right below. Now our system is fully compliant with the above requirements. For those interested in dealing with the Microsoft-way of handling the global policy , it can be worth to briefly summarize the concept of Computer Configuration as opposed to User Configuration. In a given Group Policy context, Computer Configuration is applied to computers, regardless of who logs on to the computers; conversely, User Configuration is applied to users, regardless of which computer they log on to. If we set the settings collide with each other in Computer Configuration and User Configuration in one GPO, the Computer configuration will override the User Configuration. For details, please refer to the following article. 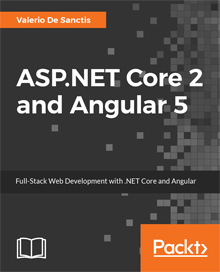 Previous Article Full-Stack ASP.NET Core with Angular, React or VueJS – Is it still a viable choice in 2017-2018?